There are many challenges at the horizon: geopolitical risks, non-performing loans, technological change, cybercrime, digitalization and IT, repricing in financial markets, the low interest rate environment, climate change, IFRS 9, the new Basel III: finalizing post crisis reforms requirements, among other. This is making both banks and supervisors adapt to the regulatory change that is proceeding around the world at a rapid pace and on an unprecedented scale. From this perspective, the current European supervision presents harmonized practices and allows supervisors to obtain a system-wide perspective, by treating all banks equally when monitoring and mitigating risks and issuing recommendations, the aim being stronger and uniform supervision which leads to resilient banks and provides a more coherent policy framework. One of the supervisors’ most frequently used tools are the on-site inspections (OSI) which provide an in-depth analysis of different risks, internal control systems, IT, business models, or governance and internal model investigations which assess the whether banks meet the prerequisites for calculating their capital requirements with internal models investigations (IMI). OSIs and IMIs adhere to the principle of proportionality and aim to provide a detailed snapshot of the situation of a given bank, including a forward-looking analysis. Starting December 2015 the ECB showed an increased interest in OSI with its decision to carry the targeted review of internal models (TRIM) which started in 2017 and publication of the TRIM Guide on-site investigations, following initial preparatory work in 2016. The project is one of the most resource consuming in the ECB. Furthermore, based on the ECB’s supervisory priorities for 2016 and 2017 the ECB conducted a series on on-site investigations on business model and profitability, in-line with identified risks and supervisory priorities. In Sept 2018 the ECB published the final version of the Guide to on-site inspections and internal model investigations which defines the methodologies to be applied going forward for the OSIs and IMIs. Going forward, the ECB continues to include among its supervisory priorities different OSIs through which it will assess the quality of banks’ underwriting criteria and lending practices with a focus on new lending or will respond to the increase in IT and cyber risks the ECB by launching a number of on-site inspections on IT risk-related topics. The training looks at the current and upcoming banking regulations from a supervisory perspective. It offers a deep-dive into the objectives, processes and main elements assessed by supervisors during an on-site inspection or and internal model investigation through a mix of both theory and practical examples which enables you understand this interesting and exciting supervisory activity. The course begins with an overview of the general framework under which inspections are conducted and focuses on the assessment of the main risks faced by banks. It presents the fundamental goals of risk based supervision and its challenges. It describes the different inspection phases, and presents the principles for inspections to be followed by both banks and the supervisory inspection teams. Have an overview of the significant synergies between on-site inspections and other supervisory practices (Supervisory review and evaluation process (ICAAP, ILAAP, BMA), stress test). This seminar is addresses to experts on financial supervision and stability, executive directors, finance directors, directors responsible with risk management, internal audit, bank specialists involved in IT, risk management specialists, internal audit specialist, specialist involved in business model and planning, as well as other professionals interested in the seminar’s theme. Description of the main inspecting concepts and techniques. Elena is a Senior Manager in Deloitte, within the Risk and Financial Services Regulatory Department. She has 11 years of experience in the field of credit risk management. Elena was involved in projects on methodological development and technical implementation of internal models, IFRS 9 requirements, as well as revising existing methodologies in financial institutions in Romania and beyond. Andrada Tanase is a Manager in Deloitte, within the Risk and Financial Services Regulatory Department. She has over 7 years of experience in the field of credit risk consulting, financial reporting, IFRS implementation and audit of clients from the field of financial services. At present, Andrada is involved in several projects for IFRS 9 requirements implementation (including developing the methodology and implementing the adequate calculation system for expected loss). The lecture lasts for 8 hours (7 hours net). Enrollment is done by filling in the enrollment form. 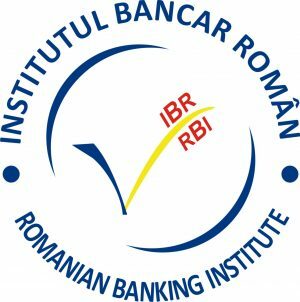 The Romanian Banking Institute (RBI) will organize the lecture ensuring specialized lecturers and lecture support. At the end of the lecture, the participants will be handed a certificate issued by RBI, under the aegis of the founding members of the National Bank of Romania (NBR) and the Romanian Banking Association (RBA), with 7 CPD credits (CPD = Continuous Professional Development).